Pope Francis said Sunday that while he would not consider making celibacy optional for priests, he would consider letting older married men become ordained. 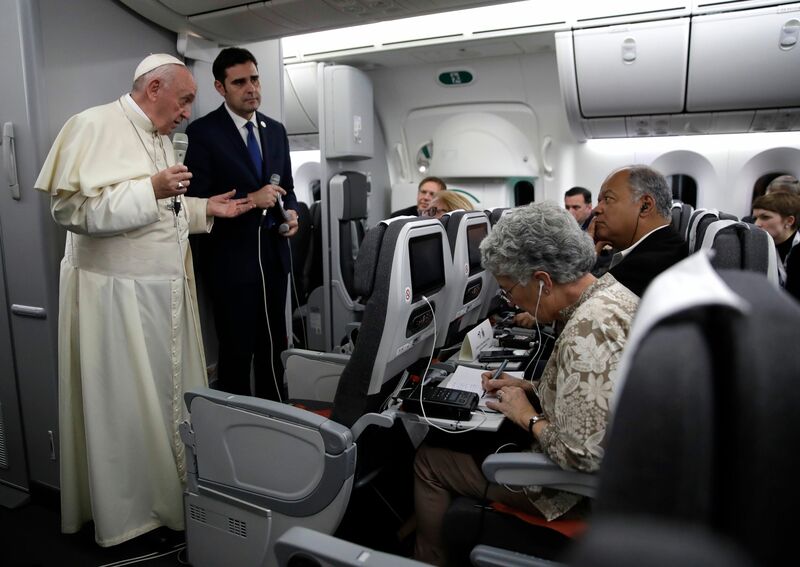 Francis’s comments came in response to speculation that he would address the issue of celibacy during the upcoming Vatican summit on sexual abuse and questions as to whether optional celibacy for priests may be in the church’s future. Francis said he would rather die than change current church policy on celibacy. “I would prefer to give my life before changing the law of celibacy,” he said, quoting Pope Paul VI. “My decision is: optional celibacy before the diaconate, no. It’s personal, but I will not do it. Maybe I am closed-minded, but I do not feel that I can place myself before God with this decision,” he added. Francis’ openness to considering the prospect of allowing older married men to become priests is not without precedent. There were up to 120 married Catholic priests in the U.S. as of 2017 as the result of a church policy that allows married Episcopal priests who convert to Catholicism to be ordained as Catholic priests. Pope John Paul II made that change in church policy in 1980 in response to a shortage of available priests in certain areas.